(Winner of the 1995 Booker Prize) The final book in Pat Barker's stunning Regeneration trilogy (following the Booker Prize finalist Regeneration and the Guardian Fiction Prize winner The Eye in the Door), this novel is set in the closing months of World War I. In France, the fighting men engaged in the grim brutality of trench warfare have all been left "ghosts in the making." 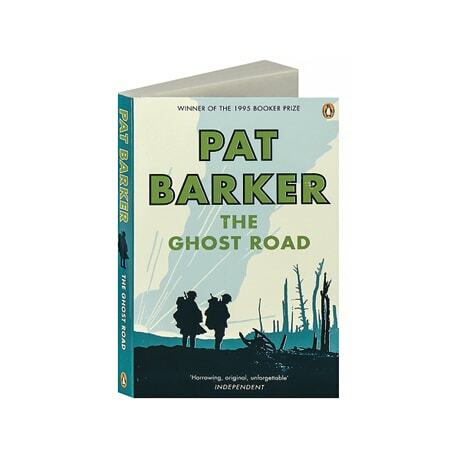 In England, psychologist William Rivers endures severe pangs of conscience as he treats the mental casualties of the war only to make them whole enough to fight again. One of these, the courageous and sardonic Billy Prior, decides to return to France with his fellow officer, poet Wilfred Owen, to fight a war he no longer believes in. Meanwhile Rivers, in a fever of influenza, relives his experience studying a South Pacific tribe whose ethos amounted to a culture of death, and begins to recognize connections between their world and ours that cast new light on his understanding of war.